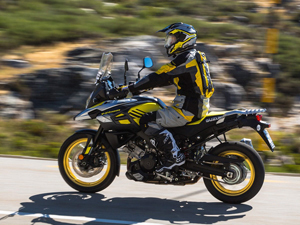 Personal Contract Purchase lets you make low monthly payments by deferring a significant portion of the cost of the bike to the end of the agreement. 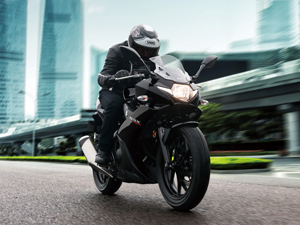 Once we've approved the finance application, it's yours to ride away. 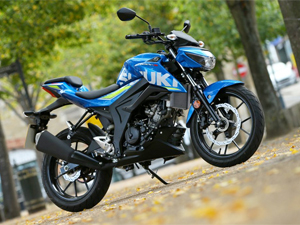 Benefit from an additional one year warranty extension to the normal two-year Suzuki warranty. 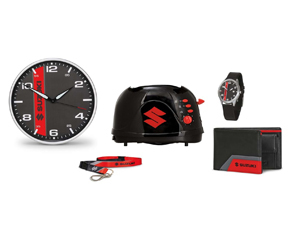 Show your allegiance when you're not riding your pride and joy, with items from Suzuki's new range of merchandise. With something for every fan, we've assembled our top picks from the new collection. 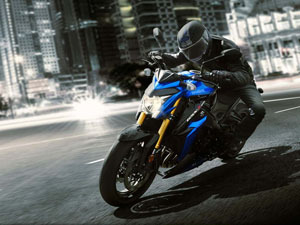 Suzuki has announced the release of a brand new accessory pack and graphics kit for its class-leading GSX-R125 to enhance the look of the already impressive entry level GSX-R.
As part of its drive to introduce new riders to the joys of motorcycling, Suzuki will be opening a pop-up shop and offering free test rides to customers at the IntuMK shopping centre on Saturday 12 May. 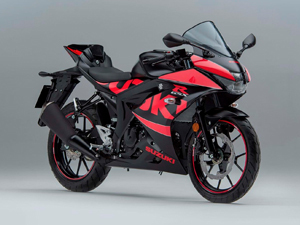 Introducing the GSX250R a sports machine that brings the excitement and riding satisfaction of Suzuki's sport bike heritage to a broader audience.